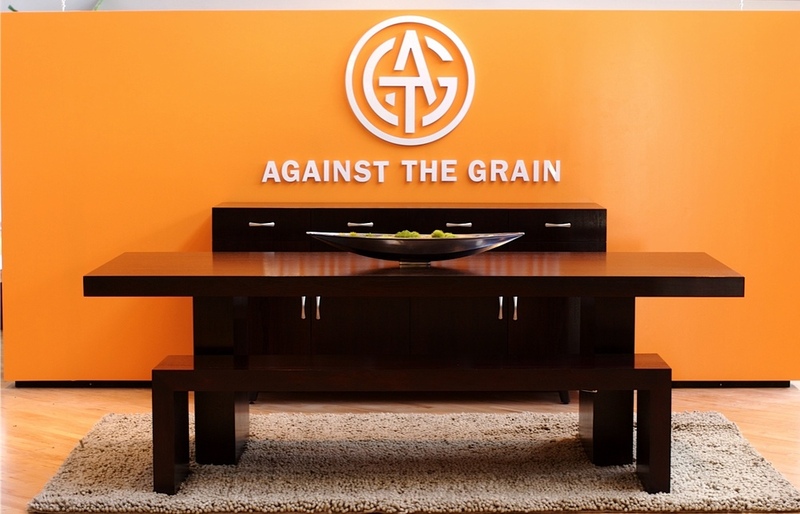 Against the Grain Custom Furniture (ATG) was founded in Southern CA in 1996 by Yolanda Sandoval. People quickly took notice of ATG’s innovative, modern design, high quality, and competitive pricing.The commercial sector recognized the skill of Yolanda and her crew, and ATG began providing furnishings for such high-profile clients as Fred Segal, Paramount Pictures, Sony Entertainment, Gianfranco Ferre, Lamborghini and many others. Through word of mouth, designers found ATG, and it became their go to source for custom designed production pieces; her furniture and cabinetry grace the homes of well-known celebrities & her cabinetry and woodwork is used in historical restorations. 25 years later, Yolanda continues to strive forward and evolve. Steadfastly sticking to her strictly "Made in the USA” philosophy, while many of her competitors took production overseas, ATG remains committed to hiring local skilled Artisan Carpenters/Furniture Makers, using the finest American materials available, and building furniture the old -fashioned way, by hand. The shop is run by the Sandoval Family, Yolanda at the helm. Yolanda’s passion is building beautiful, well-crafted furniture. The Sandovals welcome meeting others who share their passion. Yolanda is completely available to speak directly with her clients; call or message her to see how she might help you turn your dream project into a heirloom-quality piece.